Choose one of our favorite Sul Ross State University diploma frames, then customize and make it your own! Congratulations Sul Ross State University grads! 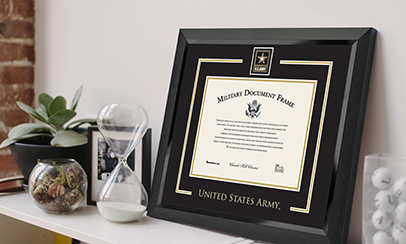 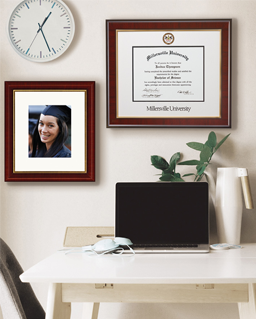 Are you looking for a professional frame to display your diploma in your office or home? 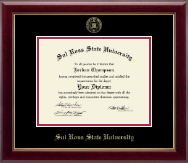 Or a memorable graduation or holiday gift for a recent graduate or a loyal alumni? Our official Sul Ross State University diploma frames and degree frames are the perfect way to preserve your well-deserved diploma while also showing school pride. 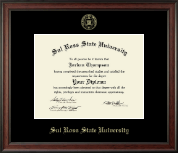 Each frame is made here in the USA and custom-sized to fit the official Sul Ross State University diploma. 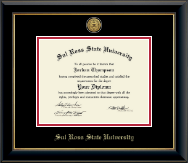 You may order your graduation frame or Sul Ross State University gift from the selection above, or customize your diploma display frame using our easy online Create-A-Frame® tool. 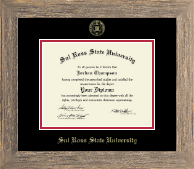 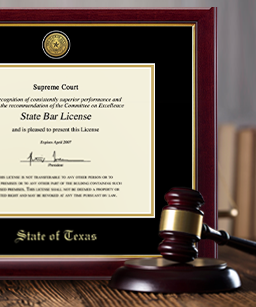 Whether you are shopping for your own office or home, or shopping for another Sul Ross State University grad, we guarantee you will love our hand-crafted diploma frames. 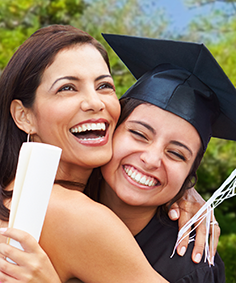 eGift Cards are also available for immediate delivery, making them a terrific gift choice for Sul Ross State University Graduation.